Update – September 30, 2013 – Don’t forget to bring me your shirt donations before Saturday! Hello ladies, here is the latest news from the “nest”! Congrats to the ladies who did the Oakville Half Marathon last weekend. You had perfect running conditions and your training paid off – great finishing times! Now it’s time to recover and enjoy the shorter distances for a bit…until you embark on your next goal race. The new Learn to Run ladies are doing fantastic. Have you signed up for the Angus Glen 5km in Markham yet? I know that at least 2 of you have put your money down and now have a concrete reason to be getting out the door every M, Th, S! I will make it easy for the rest of you and post the link to register here: Angus Glen For those of you doing the Learn to Run 10km program – you can use the same link to sign up for the 10km race! Around the Bay Relays: Registration for ATB is open! This is a great race in late March in Hamilton – it’s the oldest road race in North America. The distances include 30km, 2x15km relay, 3x10km relay and 5km fun run. We had a blast doing the relays last year, we had 8 teams and some amazing Chicks run the 30km. I know it feels really early to even contemplate this, but the relays will sell out before November and the 30km will sell out before the new year. Get your teams together and we will hopefully surpass 8 teams in 2014. Name you team “Nik’s Chicks 1, 2” etc. Send me a note when you reg and I will post teams. Long Underwear: Having the right base layer can make the cold day runs quite comfortable. You don’t need to break the bank on Under Armor or Nike Pro long underwear. Check out Superstore for their Joe Fresh line of tops and bottoms. They are economically priced (less than 15.00 each) and very comfy. Not only are they great for running, but they can also be used for everyday warmth, skiing and hockey! Save some $ this winter and outfit your family in them!! Plantar Fasciitis: Are you suffering from this annoying and lingering injury? Here is a link to a helpful page that gives info and treatment solutions: Plantar fasciitis It might shed some light on what is going on with your foot, and how you should go about treating it! 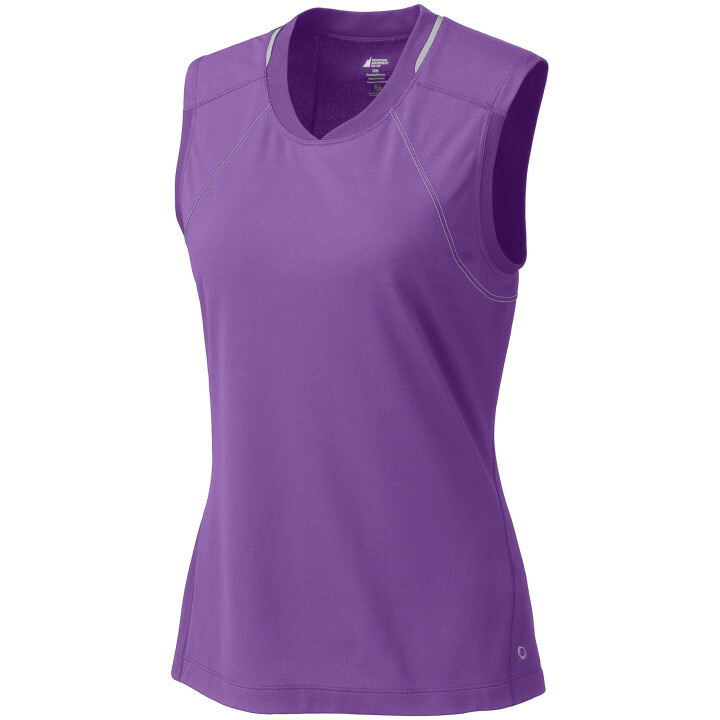 Running Tops: I still have many of the purple Nik’s Chicks sleeveless running tops in stock. They have our logo on the front left chest, upper back and our sponsors are printed on the lower back. The tops are lightweight and were purchased through Mountain Equipment Co-op. See me after your next group run to try one on. Only 20.00 each!! They are great for working out at the gym! Are you receiving the updates regularly? If not, take a moment to type in your email address in the blank on the right hand side of the http://www.nikschicks.com home page and click follow. Looking For Shirt Donations: My osteopath, Dave Ellis, is collecting old race shirts or Dry Fit type shirts in all sizes. When his Dad was in palliative care he found himself struggling to maintain a consistent body temperature in his cotton clothes. Dave gave him some of his technical clothing to wear and his Dad was much more comfortable in his final days. Dave is collecting the clothing for the Palliative Care patients of the Oakville Trafalgar Memorial Hospital. You can drop off your donations at my place prior to every run – deadline for drop offs is this Saturday!!. 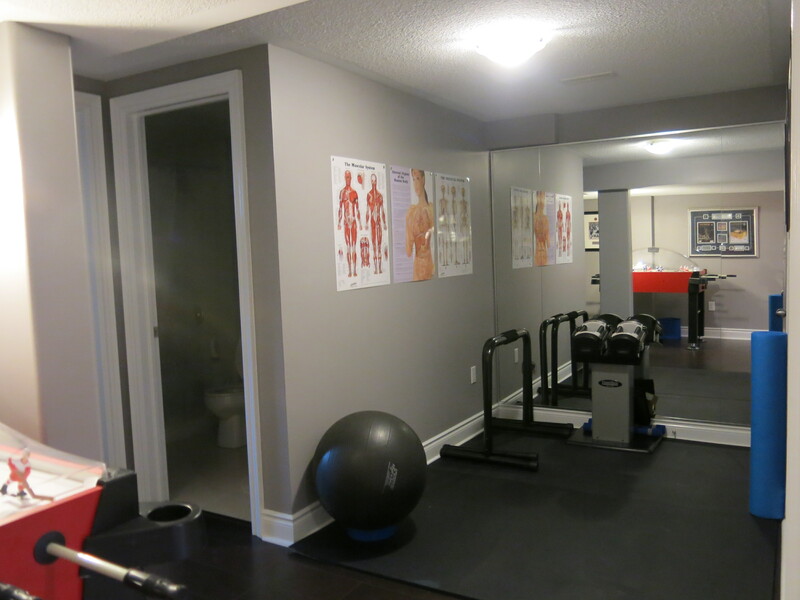 I will bring them down to Dave’s clinic, Balance Point Health Centre on October 6th. Thanks for your help! 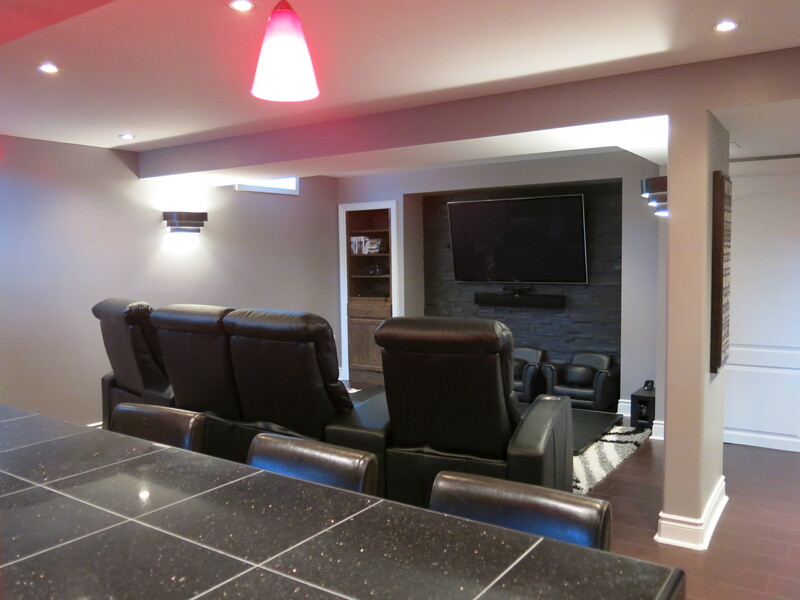 My Basement Reno: I know this is totally off topic, but….my basement renovation has been completed and I am so happy with the end result! 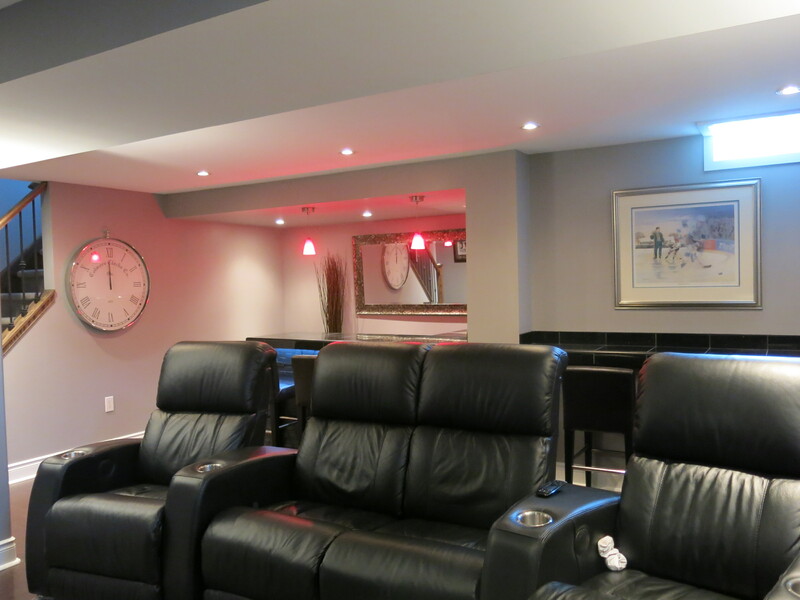 Our contractor, Roger Murray, (husband of Antonetta- a Nik’s Chicks member for a couple of years) gave us some excellent suggestions on how best to use the space and he and his team did great work. They kept the mess to a minimum and finished the job in the predicted time line. I have just asked Roger to do some more work for me on my main floor and painting upstairs! 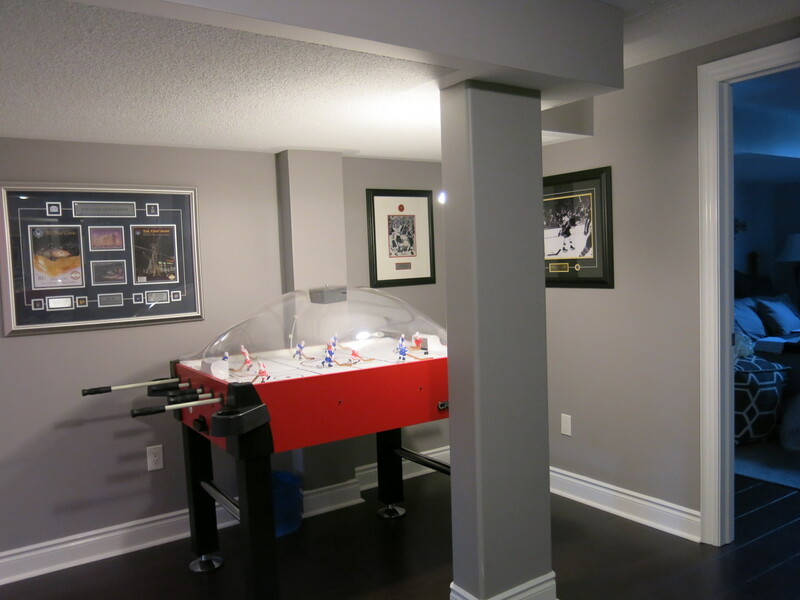 If anyone is looking for a great contractor, check out Roger – his company is Complete Home Renovations 905 827 7515! 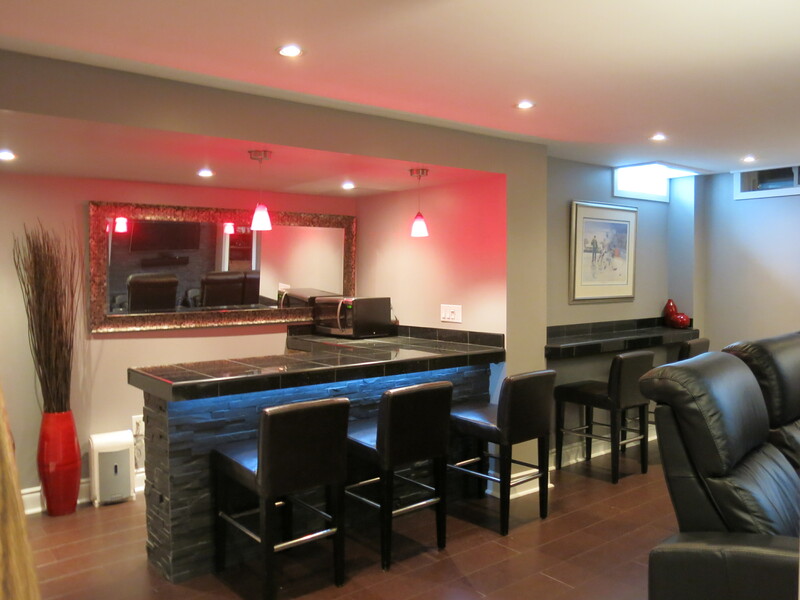 I wish I had “before” pics to go with the “afters”! 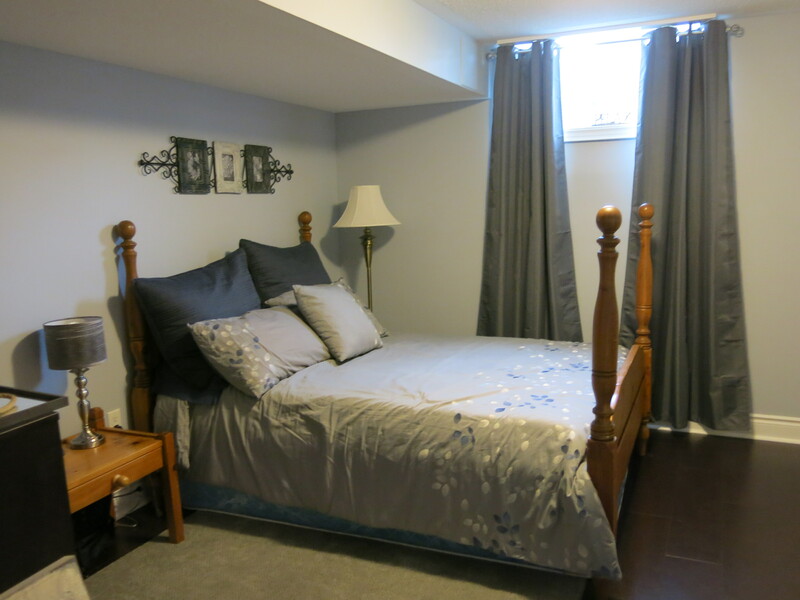 I will post some “before and afters” when the current job is complete! Tips from Runner’s World 2013 Daily Calendar: 1) Huffing and puffing usually means you have started out too fast. a starting pace that is even a few seconds too speedy can lead to major discomfort. If you are out of breath even after an easy run, slow down the first miles of your next run by 1-2 min per mile. There is no such thing as taking it too slowly from the start. 2) Surprise! The perfect recovery drink is chocolate milk. It contains the ideal ratio of protein and carbs to help speed post-run recovery. (If you are lactose intolerant, consider chocolate soy milk!) 3) One cup of cooked beans (kidney, pinto, garbanzo) provides a half cup of water, as much protein as two eggs and half your daily fibre needs. Fibre keeps your digestive system moving, helps lower cholesterol and controls appetite. Beans are the perfect runner’s food. They’re a balanced combo of carbs and protein, which allows for slower release of blood sugar for optimal performance. 4) Deciding between the remote control and your running shoes? It isn’t easy to get out the door without a clear reason to run. If you can’t answer “Why am I doing this?” you won’t last long. Restate your goals and lace up!